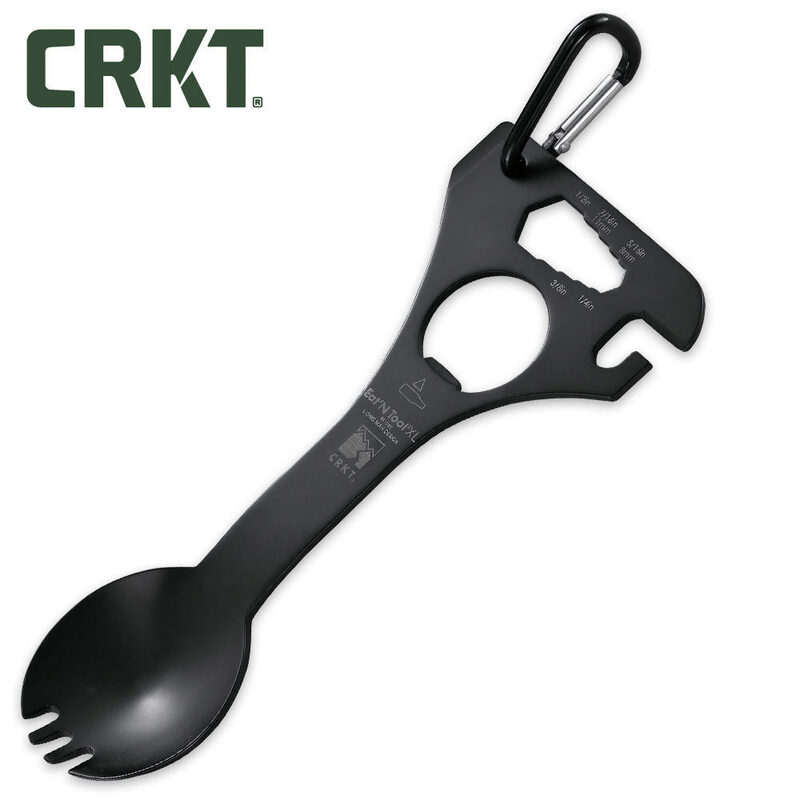 CRKT has taken their "Eat'N" tool to the next level with this new, extra large version. Forged from 3Cr13 stainless steel, this tool features a larger spork, box wrench, driver/pry tool, can opener, and bottle opener. A clip is included for attaching to your gear bag. Measures 6 in. overall and weighs 2.7 oz. This is a perfect campanion on your pants for a trip either trail or camping for a emergancy too.